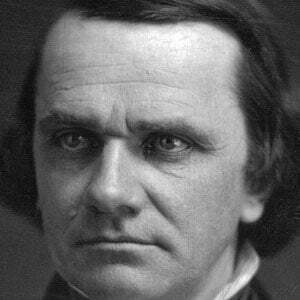 Iconic Senator from Illinois who, in 1854, famously constructed the Kansas–Nebraska Act, which allowed settlers in Kansas and Nebraska to decide, via popular sovereignty, whether or not their state would allow slavery. He was the Democratic nominee for President in 1860. He was a teacher and briefly opened a school before studying law. A series of violent confrontations, known as Bleeding Kansas, broke out in the state after his famous act passed and this event is seen by many historians as a precipitating factor of the Civil War. He married his first wife Martha Martin in 1847 but she later died during the birth of their third child together. He defeated Abraham Lincoln in the Illinois Senate election of 1858 but lost to him two years later in the Presidential election of 1860.